At the end of Henrik Ibsen’s “A Doll’s House,” which premiered in 1879, Nora, the principal character, slams the door and leaves behind her husband, her children and her life in search of her own voice. Ibsen’s play, which in 2006 had the distinction of being the world’s most performed play, is significant in its depiction of the awakening of middle-class women and mothers and their treatment during this era. Speed forward to 2017, when young playwright Lucas Hnath imagines the play’s characters 15 years later, with “A Doll’s House, Part Two.” Examining the rules of society and gender, Nora’s reappearance asks why she has returned and what her return will mean to the people she left behind. Far from being dry or stuffy, “A Doll’s House, Part Two” is hilariously funny, whip-smart and resonant in light of society’s current gender politics. Directed by Murphy Davis, who also directed “Hand To God” last season at the Waterfront, the cast features Maribeth Graham (last seen in the Red Barn’s “I Do! 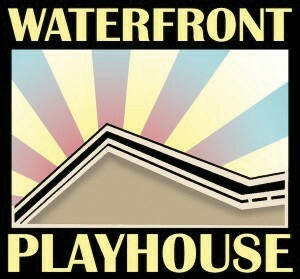 I Do!” and the Waterfront’s “It’s Only A Play”) as protagonist Nora; David Black (last seen as John Adams in “1776”) as her husband Torvald; Joy Hawkins (last seen at the Waterfront in “The Trip to Bountiful”) as the housemaid, Anne Marie; and Jessica Miano Kruel (last seen in “Hand to God”) as daughter Emmy. Michael Boyer served as set designer, with lighting design by Kim Hanson.